The naturalization process allows permanent residents (green card holders) to become American citizens. U.S. citizenship has many advantages, including the right to vote, to apply for family members’ green cards and to be eligible for certain jobs and elected offices. Some people may decide to naturalize simply because they consider the United States their home. You may qualify for naturalization through several pathways, including five years of legal permanent residency, three years of residency if you have been married to a U.S. citizen during that time, service for the U.S. armed forces or a child of a U.S. citizen parent. 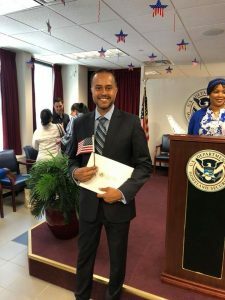 This article guides you through the five steps to citizenship under the first two criteria — you have had your green card for at least five years or three years if you are married to a U.S. citizen. Before investing the time and money, determine whether you meet the eligibility requirements for naturalization. In order to qualify, you must have been approved for your green card at least five years ago (or three if married to a U.S. citizen). You must also have been physically present in the United States for at least half the time of your legal permanent residency, and cannot have taken trips outside of United States of six months or more. That equates to 30 months for permanent residents with no special circumstances and 18 months for permanent residents that obtained residency through marriage. For this reason, you should plan your holidays, schooling and work trips carefully to ensure you do not spend too many days outside the country. You can overcome a trip of longer than six months but shorter than one year if you can show proof that you did not intend to abandon your residency status. Factors that can support your intentions include payment of taxes, continued employment and maintenance of a home you rented or owned during your time outside the country. At the time you apply for naturalization, you must be at least 18 years old and show you are a person of good moral character. A criminal arrest, drug use, lying to an immigration officer or even failing to pay alimony or child support can raise questions. Keep in mind that you must have been living in the state where you file your citizenship application for at least three months. The first step in the application process is filing Form N-400 with U.S. Citizenship and Immigration Services (USCIS), along with your fees and supporting documents. You may complete the N-400 application online by creating an account here. If you prefer to fill out and mail a paper application, you can download Form N-400 here. Applicants applying from abroad, based on military service or requesting fee waivers/reductions must mail in paper applications. The USCIS website provides guidance on where to mail your application – click on “Where to File” on the N-400 landing page. Here, you will also find a checklist of required documents. Your supporting documentation should prove your eligibility for naturalization. USCIS allows applications to be submitted as early as 90 days before reaching your three or five year eligibility mark as a green card holder. Take advantage of this and get a head start. The naturalization application currently costs $640, plus an $85 biometric fee for your background check, for a total of $725. If you are filing an online application, you will be able to pay these fees on the USCIS website. If you are mailing in the paper version, you can pay via money order, personal check or cashier’s check (to “U.S. Department of Homeland Security” – do not abbreviate). A credit card payment is also possible – simply complete a credit card authorization form (G-1450) and send along with your application. Do not round your payment up or down, submit the exact amount. Exceptions: Applicants aged 75 and older do not have to pay the biometrics fee. The average processing time for a naturalization application (Form N-400) was 10 months in 2018. This timeline is impacted by where you reside as some USCIS field offices process faster than others. Additionally, you will spend some time waiting for your citizenship interview, test and oath ceremony. The entire process can take anywhere from 12 to 20 months, depending on where you live. Once your application has been accepted, you will receive an appointment notice (via mail) with a date for your fingerprinting and biometrics. The notice usually arrives 2-3 weeks after filing, with an appointment date that is another 1-2 weeks out. Take this notice to your appointment. A USCIS officer will stamp it after you have been fingerprinted. Keep this for your records. After your fingerprinting, USCIS will assign you an interview date. This can be anywhere from 10-14 months after filing your application. The timeline really depends on the USCIS field office assigned to your case (based on your location). Dress neatly and be on time. And most importantly, do not be nervous. The officer will review your application, clarify any issues and conduct the citizenship test. If you pass the interview/test, the officer will approve your application (in most cases). If your application is denied, you will receive a letter explaining the grounds for denial (the officer may also tell you on the spot). Common reasons applicants are denied include failure to pay taxes or demonstrate continuous presence and failing the civics / English test. Congratulations, you were approved! You have only one step left — to be sworn in at a naturalization ceremony. Soon after your interview, you will receive an appointment notice with the details of your ceremony. This is the moment you become a citizen and take an Oath of Allegiance. The oath ceremony is truly memorable and exciting, so enjoy the experience. At the end of the ceremony, you will receive your naturalization certificate. You can now apply for a U.S. passport, one of the major perks of U.S. citizenship! Applying for citizenship may seem straightforward. 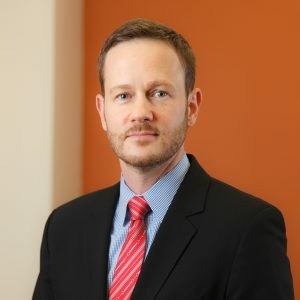 However, consider retaining an immigration attorney, especially if you have a criminal record, a long absence from the United States or another problem with your application. An attorney can help resolve these problems or may even suggest that you delay filing your application if your green card would be placed in jeopardy. David Katona20 years of specialized immigration experience; Successfully filed hundreds of naturalization and green card applications. 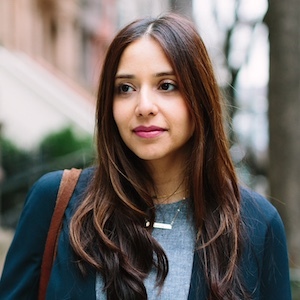 Nadia Zaidi10+ years of immigration law experience; High success rates with citizenship applications.